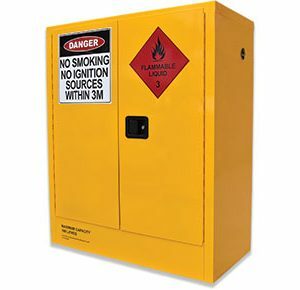 *Conditions: 10% discount + free metro shipping applies to the indoor cabinet range of class 3 flammable liquids storage cabinets. 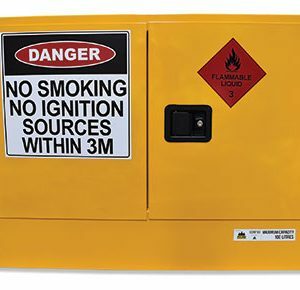 Offer valid on orders received and paid by close of business Friday 3 May 2019. 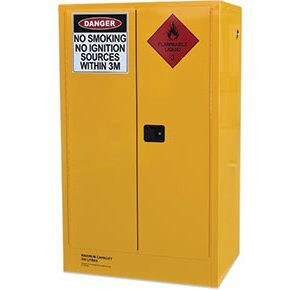 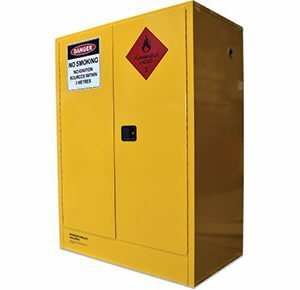 Our range of Flammable Liquids Cabinets have been designed specifically for the storage of Class 3 flammable liquids. 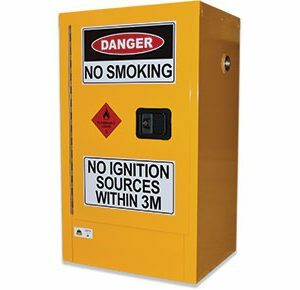 They are manufactured in Australia to ensure they meet the requirements of AS1940-2017. 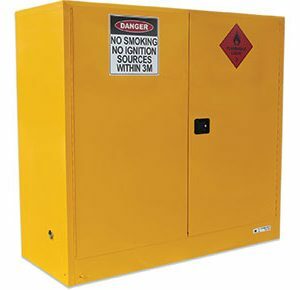 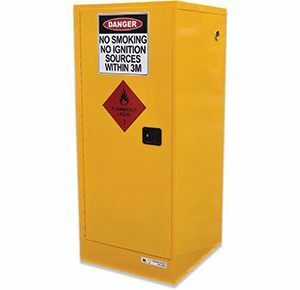 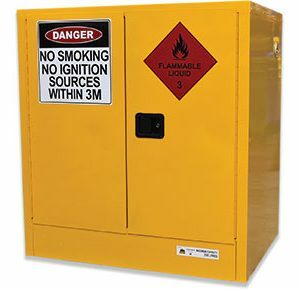 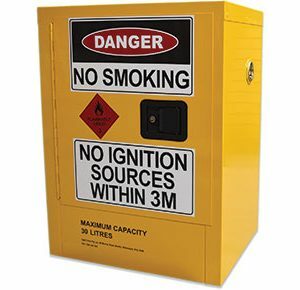 Features of our range of Flammable safety cabinets include; self-closing doors and, built in vents with flash arrestors, spill containment sump with drain and a yellow gloss lead-free epoxy/polyester powder-coat finish. 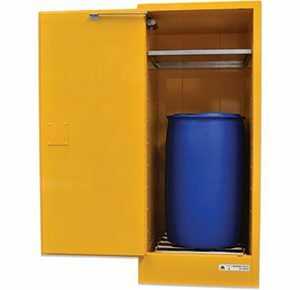 With sizes ranging from 30L (ideal for placing on or under work benches), to 850L capacity, we have the safety cabinets to meet your requirements.